“There is a Chinese curse which says, ‘May he live in interesting times!’ Like it or not we live in interesting times. They are times of danger and uncertainty!” Senator Robert F. Kennedy – June 6. 1966 - Speech in Cape Town South Africa. Israel is one of the oldest countries in the world, and, paradoxically, also one of the youngest! It is the only country to have been reborn out of antiquity, revived after a struggle as dramatic as any recorded in the Old Testament. The Jews are the only people to have been scattered throughout the world, bitterly persecuted by most powers for over 2,000 years, and yet gathered together into a nation once again. Israel's language (Hebrew) is the only speech to have been resurrected from a dead language to a living, virile, modern one. The nation exists on a strip of land so narrow that on most maps its name must be printed outside its borders. Yet it possesses more historic and religious sites of significance to the world than any other country. Compressed into those narrow borders is a microcosm of the whole world, for the average Israeli, or his parent, have migrated from any of more than a hundred different lands. To live in Israel is like living in a pressure-cooker; it is always under tension. Yet the nation continues to expand and develop more rapidly than other larger countries? 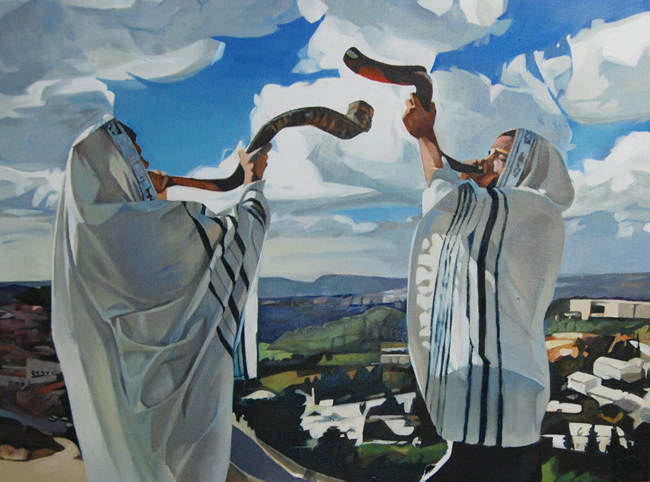 Israel is God’s mystery revealed in our times! It was clear that the recent cease-fire between Israel and Hamas was temporary at best. No one knows when the next major round of hostilities would break out. Nor does anyone know for certain whether the next war would be prophetic in nature or merely another devastating regional conflict. But there is no question that all sides were rearming, recruiting, refuelling, and readjusting to the new realities on the ground. Nor is there any question that the leaders of Iran, in particular, are more determined than ever to wipe the Jewish State off the map and more convinced than ever that such a feat was truly possible. The enemies of Israel had been probing for Israeli weaknesses and found some. They are preparing to strike again, and much harder the next time and they have a set of deeply held Islamic religious beliefs compelling them to do so. They have a military plan guiding them… And, they have a sense of destiny driving them… and the clock is ticking! As 2013 marches on, we ask ourselves the following questions…! With Egypt now under control of the Muslim Brotherhood, will an Iran backed, resurgent and increasingly radicalized Islamic movement establish the worldwide caliphate, or global empire, of which President Morsi and its leaders dream… and for which they pray and fight? Is Islam really the world’s fastest-growing religion, and will it soon overcome Christianity as the world’s largest religion? Can Israel survive? Or can Christianity make a comeback and support Israel in the Middle East - the land of its birth? More signs of Christ's return exist today than at any time in history. In Matthew 16: 3 Yeshua (Jesus) rebuked the people of His day for failing to recognize the “signs of the times” that heralded His first coming. How much more reason do we have today to recognize the signs of His Second Coming? “For nation will rise against nation, and kingdom against kingdom. And there will be famines, pestilence, and earthquakes in diverse places. 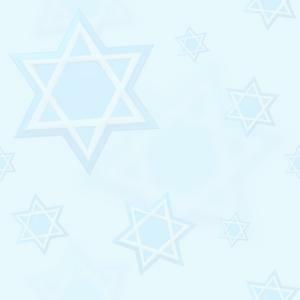 All these are the beginning of sorrows.” (Mathew 24:7 - 8) There are two Jewish idioms in those passages. First - nation against nation - Our Lord was speaking of a war started by two nations, each combatant soon joined by the surrounding kingdoms until all the nations involved are included. The Second part: famines, pestilence, and earthquakes in diverse places. If we have learnt anything from the past years here in the Middle East, it has been this… peace is fragile! How long will God allow the earth and its inhabitants to destroy themselves before He intervenes? This is a question many are asking, whether they believe in a personal God or not. We don’t know the answer, nor does anyone else. But what we do know is that today, more than any other time in the history of man, events are occurring that foreshadow things to come. We believe there is one sure word of truth… and that is the Bible. As we study the awesome events recorded in Revelation we sometimes find unfathomable chapters and their significance about the end of this world as we know it. The Book of Revelation has within its pages “hope and encouragement” that lift us from the grey gloom of present events to a promise of a brilliant future. There is a book in the Bible that every scoffer should read. The book of Revelation predicts the climax of the ages and the sequence of the events leading up to the return of Yeshua, Jesus Christ. Furthermore this book explains where every person will be for all eternity! 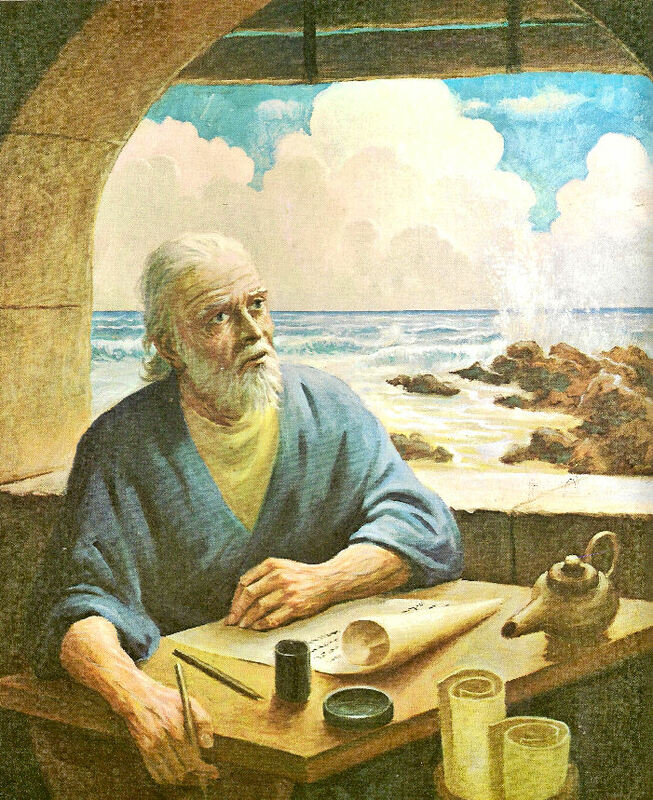 The Apostle John, the author of the Book of Revelation, wrote it when he was about 92 years old, while a prisoner of Rome on the remote penal colony of Patmos – a Greek island today in the Aegean Sea close to Turkey. Patmos was a quarry mine for the Roman Empire, and was home to many political and religious prisoners or slaves. John, the beloved apostle of Yeshua (Jesus), was being held as a prisoner of Rome on this island for his incessant preaching about Yeshua. Rome believed that by banishing John to the remote and forsaken island of Patmos, that his voice would be quieted. John was aged in years, and close to the end of his life, probably sent to Patmos in the year 95AD by the Roman emperor Domitian, who was reportedly angry at the fact that John was not killed… when he was dipped in boiling oil! John was cast into a caldron of boiling oil…but the Lord preserved the life of His faithful servant, even as He preserved the three Hebrews in the fiery furnace (Daniel 3). Since John was a contemporary of the Lord he would have been by that time, well over 90 years old - making him very likely the only apostle to survive to such an old age. The rest of Yeshua’s apostles and disciples were martyred decades earlier. It was as if God supernaturally preserved John to bare record of The Revelation! What God revealed to the Apostle John, is a great prophecy mystery. It's a riddle wrapped in a mystery. The book of Revelation describes the end of one world and the beginning of the next. A key to understanding most Old Testament prophecies is to think Israel, the Jews, and Jerusalem in particular. Just as Yeshua’ (Jesus) mission was to save the Jews - it was the mission of the prophets to pass God's Word and His warnings on to them. The Greek word for Revelation is “apocalypses” which literally means, “unveiling” or “to remove from covering,” or to “open and unloose (unseal) the detail.” The Old Testament Prophet Daniel (12:4) was informed to “seal up” the prophecy concerning these things until “the time of the end.” The book of Revelation however unseals that epic volume, and is in fact the unveiling of Yeshua (Jesus Christ). It is the unveiling of the Lord because only He is worthy to open, or unveil, and remove the covering from the previously sealed book of prophecy. The book unveils His relationship to the church throughout the long drama of the Church Age, His judgments of this world, and the nations of the world, and it conveys to the present world things that shall come to pass in the near future. The purpose of the Revelation is also to reveal to us as believers… all the details concerning the things that must shortly take place, in the interim leading directly to our Lord's grand return to the world stage. 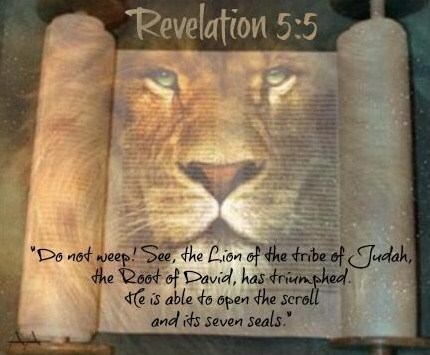 He will return as a conquering King, the Lion of the Tribe of Judah, which is the exact reversal of his first coming when he came as a meek, humble sacrificial Lamb, a lamb slain even before the very foundation of the world. 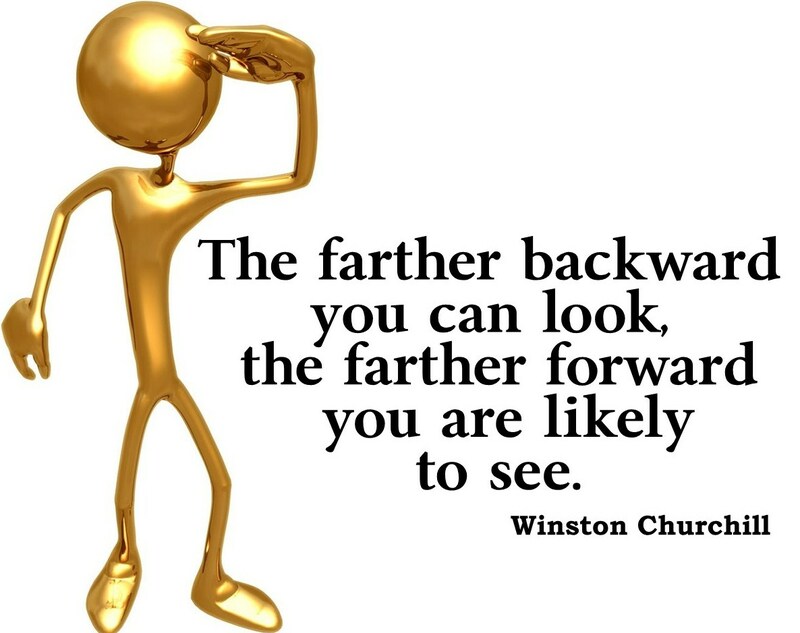 Vision’s of both John & Ezekiel: Both were captive against their will… Both were near water when their visions occured... Both saw Heaven open and saw the visions of GOD... Both saw a Jewish remnant (Ezekiel 12:6; Revelation 12:17)… Both saw Heavenly living creatures: Cherubim’s (Ezekiel) Living creatures (John)… Both saw the Throne of GOD and on His Throne... Both saw a Rainbow around the Throne… Both saw a scroll with woe's and trouble... Both were told to eat the scroll and prophecy... Both saw Angels marking the forehead of righteous people (Ezekiel 9; Revelation 7:1-3). Both saw judgment striking Israel and also striking the City of Jerusalem…Both John and Ezekiel were linked to the Priesthood. Both prophets saw the return of the Lord to set up His Kingdom. Daniel saw an everlasting Kingdom of the Messiah (Daniel 12:2). John saw Yeshua/Christ returning to make war (Revelation 19:11). Revelation, the only prophetic book in the New Testament stands alone as a lighthouse in a churning sea of modern turmoil. Its miracles will only be understood by those who have "ears to hear" and the ability by the "Spirit of God" to discern. The book of Revelation is sometimes ignored in Bible studies as not being relevant to our daily lives and problems. Louis Talbot expressed it this way, "many people treat the book of Revelation like the priest and Levite treated the man who was beaten and robbed in the ‘Good Samaritan’… they pass by on the other side." The Devil has turned thousands of people away from this portion of God’s Word. He does not want anyone to read a book that tells of his being cast out of heaven… nor is he anxious for us to read of the ultimate triumph of his number one enemy, Yeshua – Jesus Christ. The more we study the book of Revelation, the more we understand why Satan fights so hard to keep God’s people away from it. The tragedy today is that not only atheistic and agnostics deny the miracles of the Bible, but even some Christian preachers and teachers, liberal in their outlook and education consider many Biblical miracles; allegories and sadly reject the supernatural. The church is no longer mentioned in the book of Revelation after chapter three… simply because the church has been "caught up" (raptured). Therefore the Second Coming of Yeshua or the Christ is the main theme of the book of Revelation. The important events that occur in and between the seals, trumpets, and vials, are in the plan of God, preparatory to the Messiah‘s Second Coming. It is announced at the beginning (Revelation 1:7), in the middle (Revelation 11:15-18), and at the end of the prophecy (Revelation 22:20). His second coming is referred to many times in this book and is vividly described in Revelation19:11-21. The word for "see" in (1:7) is not the ordinary word meaning merely to look upon, but one meaning to gaze or to stare at with wide open eyes, as at something remarkable, something absolutely horrifying to the beholder, producing fear, hatred or reverence, as the case may be. One of the things that has hindered us in the past from understanding these scriptures in Revelation, has been our natural tendencies is to push the Jewish people right out of the salvation plan of God. We forget the importance of their being saved in the last days. They are able to say which was, because God has given them eyes behind, He has given them eyes to see into the past to believe that Yeshua was the one that came to Israel and was crucified for their sins and really the Messiah after all. They say, and is… They have been given eyes to see within. 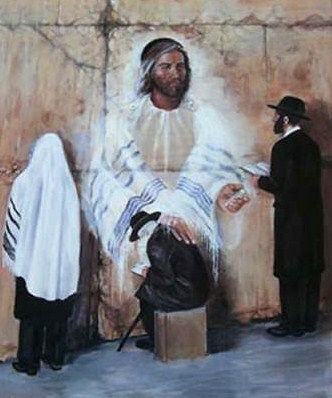 How do they know that Yeshua is? Because… Yeshua is now living in their hearts just like you and me. This is how we know that He is, because He lives in us. Yeshua told Nicodemus that he could not see the kingdom of God until he had been born again… They have been born again. They say and is to come. Because they have been given eyes before, they are able to see what lies ahead of them. Now they realize that Yeshua is going to come and rapture them out of here with the rest of the Church, Gentile and Jew alike for there is neither in the kingdom of God. God was giving John a vision of a group of Jews that will be saved before the Seven-Year Tribulation begins. There is a lot of scripture in the Bible about this, but most people don't realize that it is there. God loves the Gentile Church for sure, but we must humble ourselves in order to find the truth. One day God is going to demonstrate His love through the Church through out the world to such a degree that it will seem to be unbelievable. He isn't done with His Church yet! If we go after the truth rather than trying to prove a point that we have the truth… we can know the truth and be blessed in the knowledge of it. It is clear that so many parts of the Bible are interconnected and consistent with each other… When we connect the dots, it becomes obvious that one day God will intervene to resolve human problems. Through John, the followers of Yeshua (Jesus) have been given insights into God’s plan for bringing the kingdom of man to a close and establishing the Kingdom of God. What they could not know ahead of time is precisely how every prophecy will be fulfilled. They could know the outlines of how society will develop until God must intervene. They could not know the timing of Christ’s return, as Christ Himself does not (Matthew 24:36). But they can be prepared for that day by personal vigilance about their spiritual state and by thus being ready (Matthew 24:44). The very course of Jacob’s life foreshadows the future of his people, even to the coming dark night of the "Great Tribulation". There are amazing similarities between his persona and the inner nature of national Israel. In and of themselves, the names of Jacob and Israel, literally define the people called by God to secure the land grant promised to his grandfather Abraham. His very birth acted out the conflict of the ages, one that still rages between the people of the world and the people of the Lord. The fanatical elements of modern Islam now believe that a dream that many Muslims have cherished for centuries, can finally be realized. It is a dream in which Islam will dominate the whole world under a new Islamic caliphate, bringing it under total subjection to Shariah law. An Islamic caliphate is the equivalent of a kingdom. Muslim’s are now declaring that Jerusalem will be its capital city. Israel is therefore currently the first line of defence in a war that Islam believes will ultimately bring the whole world under Islamic control. This dream can only be aborted by a supernatural victory that Yahweh God will achieve for Israel. There has never been a day when modern Israel is at so much risk... The danger they face from every direction is far worse than the six day war in 1967. The threat stems from the current rise of radical Islam and its fresh determination to establish a new caliphate with Jerusalem as its capital city. Although such a caliphate has long been the dream of radical Islamists, it is only in recent times that they have openly declared that the dream can now be realized. Recent drastic changes in Iran and Egypt have given Muslims cause to believe that the dream can finally be realized. We have been focusing recently on the attack that will soon be launched on Israel and Jerusalem, vividly depicted especially in Psalm 83 and Zechariah 12 and mentioned in numerous other parts of the Bible. We need to ask "What is the ultimate objective of this attack?" We believe that in the Islamic mind it is the all important step towards a world under Muslim rule. As the Bible’s outline for the last days continues to develop, more and more of the "Big Picture" begins to come into focus. There is no political potato hotter today than Jerusalem. Because Jerusalem reminds people of God, throughout history… we have seen world systems challenging the sovereignty of the Jews over Jerusalem. Jerusalem was the place of the Temple of God where His presence dwelled. God’s Word, the Bible, came forth out of Zion. Every nation that has attempted her destruction was cut to pieces. US, the EU and the Arab Nations etc. God is not in any plan that would wrestle the Old City of Jerusalem, including the Temple Mount area and the Mount of Olives, and give it to the Moslem world. Our Messiah is not coming back to a Moslem city called Al-Quds, but to the re-gathered, restored Jewish city of Jerusalem! (Revelations 21) Jerusalem will continue to drive the nations crazy as long as they rebel against the Lord’s plans. While judgment may fall, it is only upon those who continue to defy the Lord’s plans and rebel against them. The best solution is to understand God’s plans for Zion and pray in agreement with them. Israel won all five of her wars by utterly decimating her enemy’s war-making capability. It took years after each attempt for the Arabs to sufficiently rebuild their military capabilities so they could try again. We have the blossoming alliance between Iran, Egypt, Sudan, Libya, Hamas and Syria, the specific nations that the Bible said would unite in a bid to destroy Israel and dominate the region. Meanwhile, Turkey, the nation that will lead these nations has fallen to the Islamist party and is establishing itself as a leader in the region. Three thousand years ago the Hebrew prophets made these prophecies. Today they are all coming together with staggering accuracy. We have reached a time in history when we can actually watch as these things come together. The end of this age and beginning of next is no longer on the horizon – it is now literally looming right before us. The "Day of the Lord" commences with a period of time known as the "Great Tribulation." We believe that we are living in "interesting times" yes… but it is also the most "exciting time" in history that has ever been… Daniel was told to "seal up the prophecy until the time of the end." John while writing the seven thunders was told "not to write what he had heard as well." It is very clear that in all probability God knew that if John had written down what the seven thunders had said, the book of Revelation would have been understood long before God was ready for us to understand it. God has withheld these great mysteries until our day and they are gradually being revealed a little at a time. We sincerely believe that if anyone with an open heart were to go to God in prayer and be patient with him, listen to his voice, read the Bible and ask God to teach them His mysteries that He would. Why do we believe this? Simply - because God is not a respecter of persons, and loves us all.